Gregor Mendel, the father of genetics, was the first to knowingly manipulate nature’s genomic fabrics by integrating a new author into the mix. He gave man’s hand a role in the workings of natural selection, a process not so natural anymore, in the century of booming genetically modified organisms (GMO). These factory creations have snuck into nearly 70% of our food supply by tainting corn, soy, and rice; a statistic most consumers are oblivious of. It has become evident that the general public does not particularly understand the various repercussions of genetically modifying our produce, with the narrow fail of Oregon’s Measure 92 for the labeling of GMOs in the marketplace this past election. Furthermore, proponents of the industry seem to believe it can somehow alleviate our dwindling food supply problem, when it can actually do the opposite. In GMO creation, we select genes that enable produce to grow faster and resist disease more effectively. Initially, this was done only within the same species. However, with advances in biotechnology, we can now interbreed various species into one. 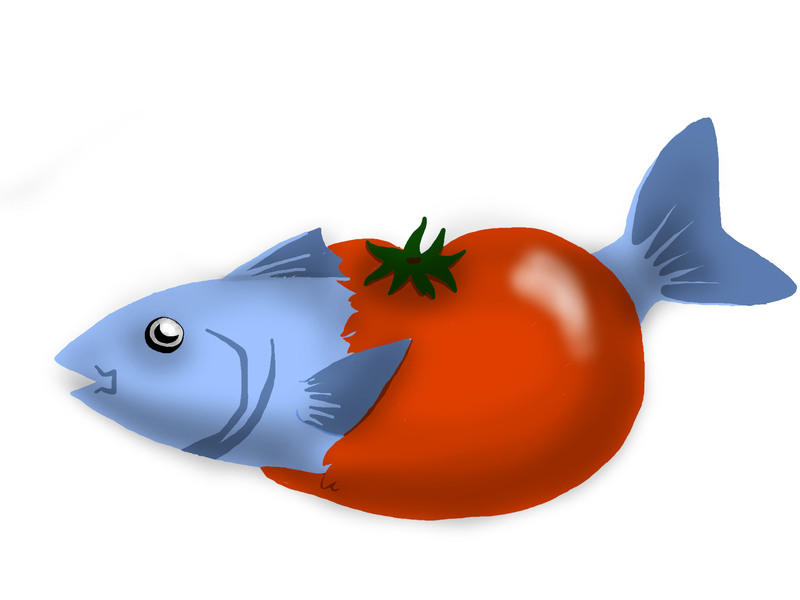 A gene from a fish that lives in cold water, for example, can be transplanted into a tomato so it can survive in cold weather. In essence, we have been doing this for years in dog breeding by selecting gene pools we deem fit. This has only led to purebreds with dampened immune systems and decreased genetic variety in the pool. Recently, plant ‘breeding’ is a more volatile process, thanks to the airborne means through which plants reproduce. This lack of control could result in introducing unwanted genes to native populations. Newer studies have indicated that the consumed GMO produce has led to the development of tumors in mice that have sustained a GMO concentrated diet. Another study indicated that the antibiotic resistance bred into these plants has potential of being passed onto consumers, leading to decreased gut function. Many people have also developed allergies to these organisms, detracting from overall immune strength, and decreasing the validity of the claim that this could solve the hunger crisis; when in reality the problem results from improper food distribution. That being said, the long-term consequences of eating this form of produce have not been completely elucidated as of yet. Many countries, like those in the European Union, have banned GMOs thanks to the questionable halo surrounding its potential health implications. However, the U.S., saved a few stores such as Whole Foods, has chosen to promote an industry that has been touted to diminish world hunger, but is forever changing the fabric of the genetic diversity nature created. By altering this balance in the gene pool, we begin to force insects and weeds to evolve as well, creating a ripple effect that could eradicate the rich and beautiful assortment of nature’s creations.